You are here: Home / Seminars and events / See you at the TGFI Financial Literacy Summit on April 1-2, 2017! Which is why I often say that financial literacy is a prerequisite to real estate investing. 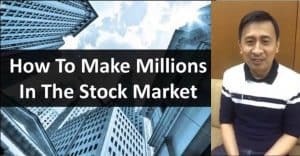 Come to think of it, I believe that Financial literacy is a prerequisite to any form of investing… period! There is an obvious lack when it comes to financial literacy in the Philippines. Think about it… if only more people were financially literate, then there would be less people that fall victim to scams. Here is what you can expect in this 2 day event. The plenary session promises to give a good foundation towards financial literacy, from personal finance basics, to building blocks of wealth, and all the way to being smart about taxes for entrepreneurs. 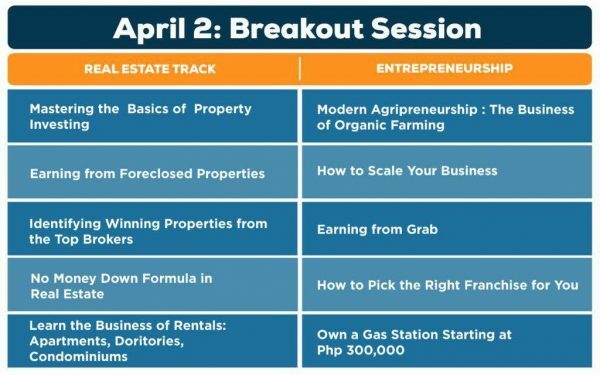 The plenary talk will be from 9:00am to 12:00nn of Day 1 (April 1, 2017). 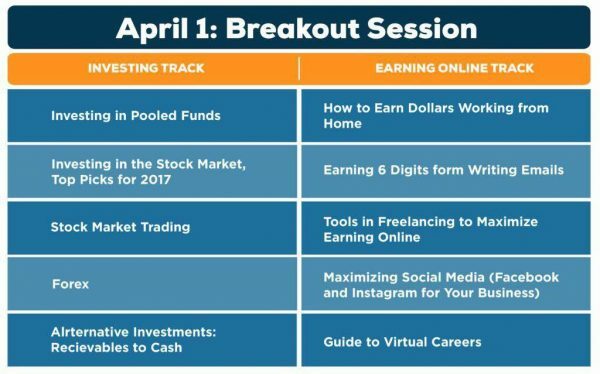 After the plenary, attendees will can learn from various ways they can grow their finances through four breakout sessions, which include the Investing track, Earning online track, Real estate track, and Entrepreneurship. 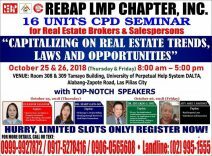 By the way, I will be one of the speakers in the real estate track, thanks again to Floi for inviting me! As a special treat, all of our readers and subscribers can get 20% discount (more on this below)! Thanks again Floi! Check out the various topics in each track below. Here’s a complete list of speakers for the plenary and breakout sessions. As promised earlier, all our readers and subscribers of foreclosurephilippines.com are entitled to get 20% off from regular ticket prices! 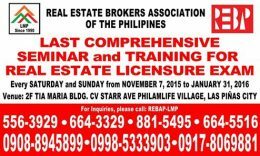 After applying the coupon code “FORECLOSUREPH”, you should see a 20% discount deducted from the cart total. In the example above, instead of Php2,500, it became Php2,000, which is a discount of Php500 or 20%. Thanks again to Floi Wycoco for the discount, and I look forward to seeing all of you there! 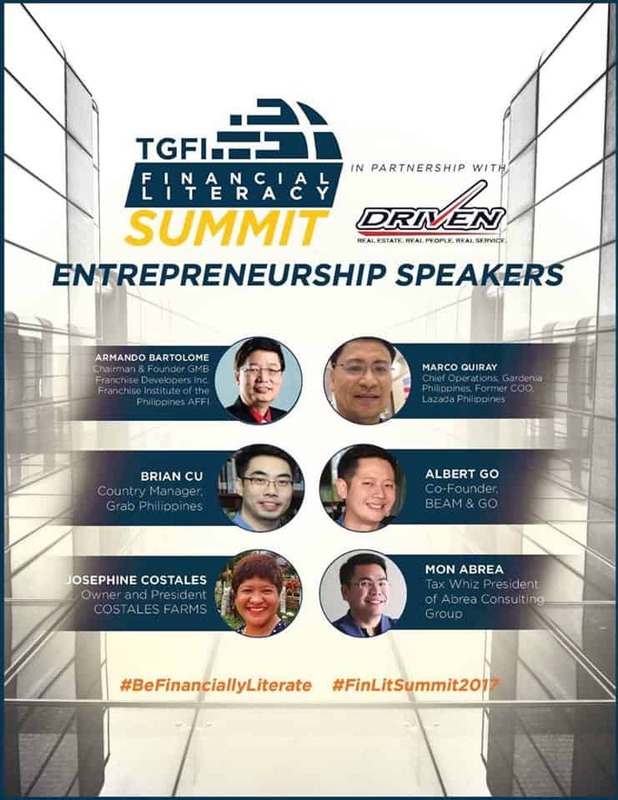 The TGFI Financial Literacy Summit will be held at the SMX Convention Center in Manila, targetting an audience of 3000 composed of OFWs and their families plus Millennials. With the theme, “Learn to Earn” this summit will have 40 renowned speakers from different industries from CEOs, Market Leaders, Celebrities and Politicians that support Financial Literacy Advocacy and will work together to educate and inspire the audience to equip them towards their own financial journey. 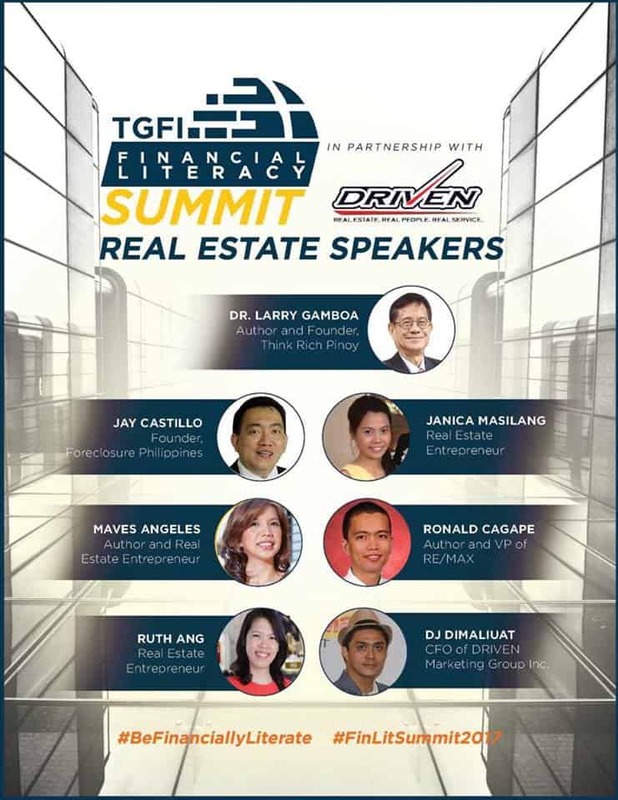 (visit www.finlitsummit.ph to view speakers and program). The program starts with the basics of personal finance during the plenary session for the participants to have a solid foundation in building wealth. Afterwhich they are encouraged to design their own investment journey by choosing one track per day. Each track consists of topics that will allow the participant to have a bird’s eye view of the possibilities in earning in different industries. As a Financial Literacy Summit event, the speakers will make sure that the topics are basic, practical and actionable. An added feature of the event is the EXPO side to the event where participants can explore and interact with businesses in a more personal way through more than 50 booths on display. This is when learning involves stepping out of the confines of a seminar and bringing participants places where they can invest without the high pressure selling environment. This is a learning event after all, and exploring is the best way to learn! The Global Filipino Investors (TGFI) is social enterprise geared to promote financial literacy to improve the financial well-being of every Filipino. 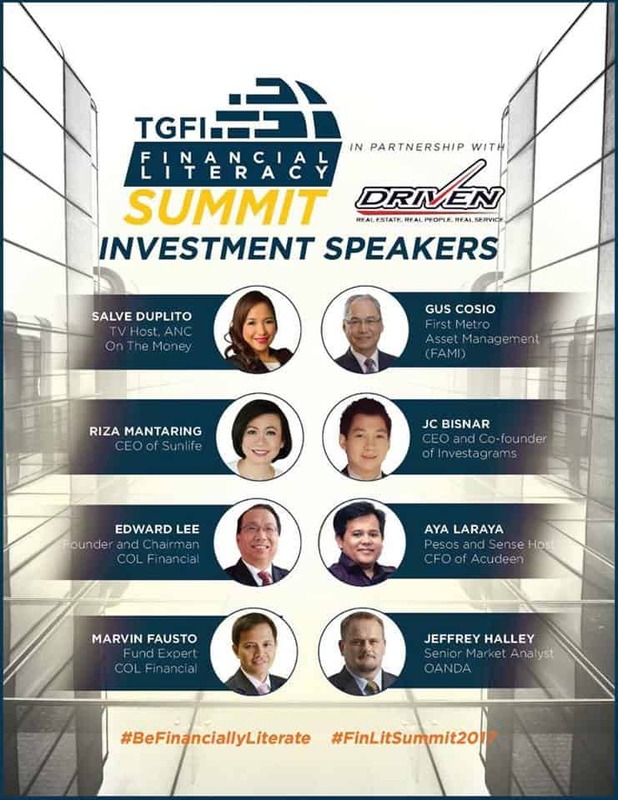 Founded by a diverse and passionate group of Pinoy investors and entrepreneurs in the different parts of the world, TGFI is in a quest to break the endless cycle of Filipinos mismanaging their wealth or entering wrong investments due to the misgivings of a lack of proper financial education program in the country — a consequence that often leads to broken dreams and broken families. Today, the group has over 90,000 community members (and growing) and has communities in more than 12 countries. 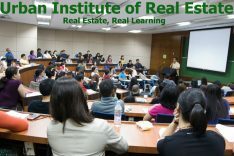 For more information, visit www.tgfi.co or the Official Facebook Page of The Global Filipino Investors.